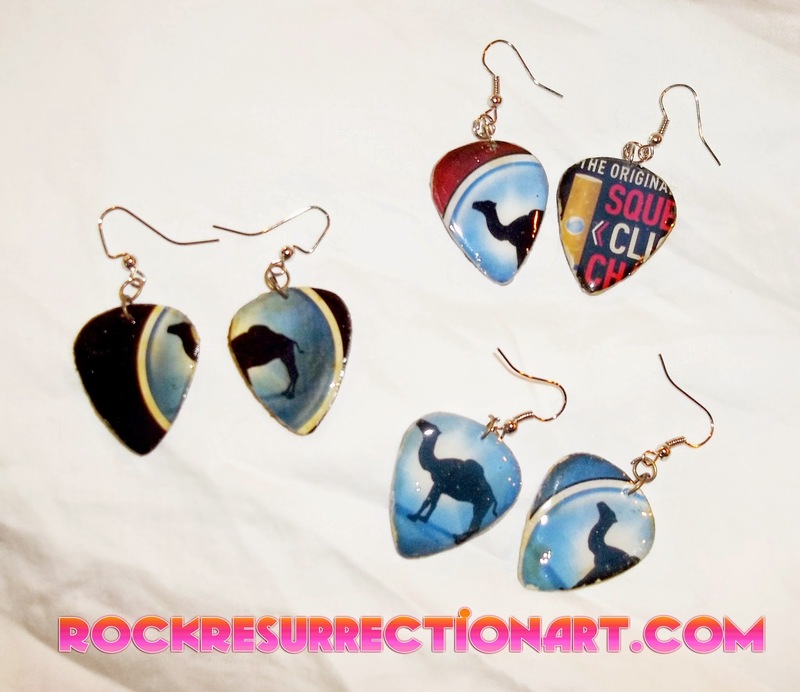 In my cigarette packaging series I have Newport cigarette earrings posted but am just finishing some Camel crush earrings covered in a plastic shine. Get a pair for $6 and be the coolest hipster in town! I also have 3 pairs of Newport gold earrings and one Blu e-cig pair. Only 3 of these pairs available! Click here to get 'em!